PRISTINE CONDITION INSIDE & OUT! 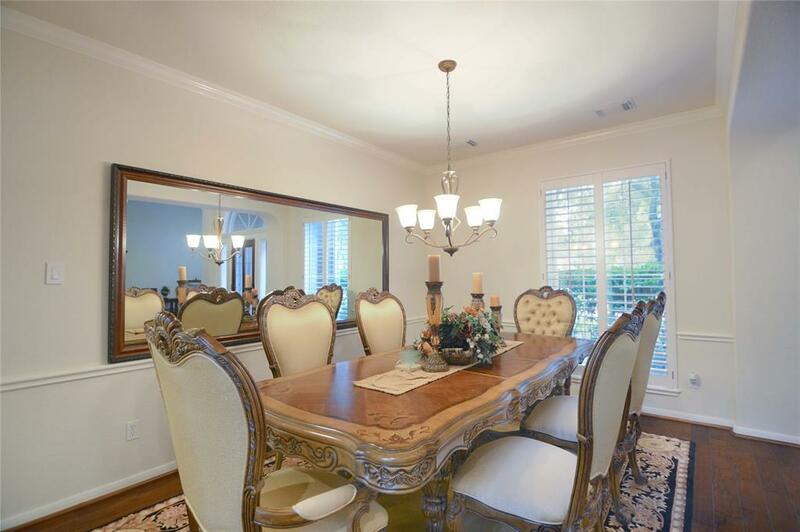 FIVE Bedrooms + THREE Car Garage! 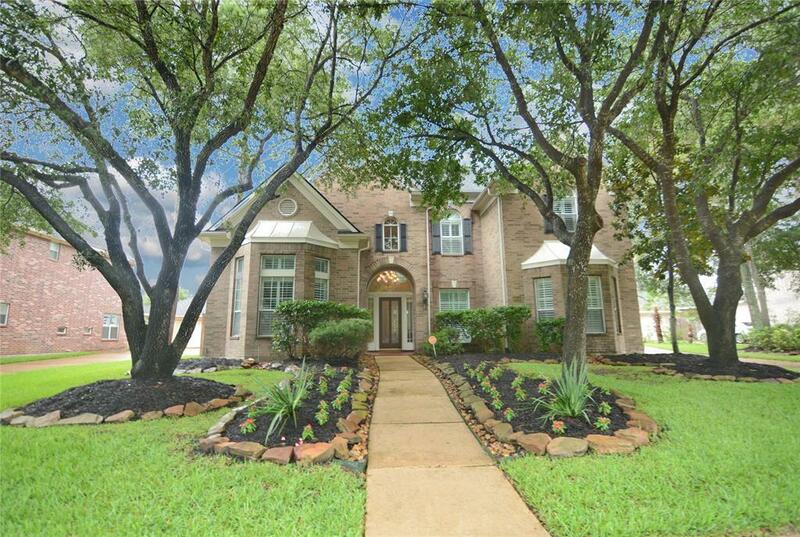 Sought-After Layout with Two Bedrooms & Baths Down! NEW IN 2018: Roof + A/C Units + Carpet + Master Bath Updates + Remodeled Guest Baths! 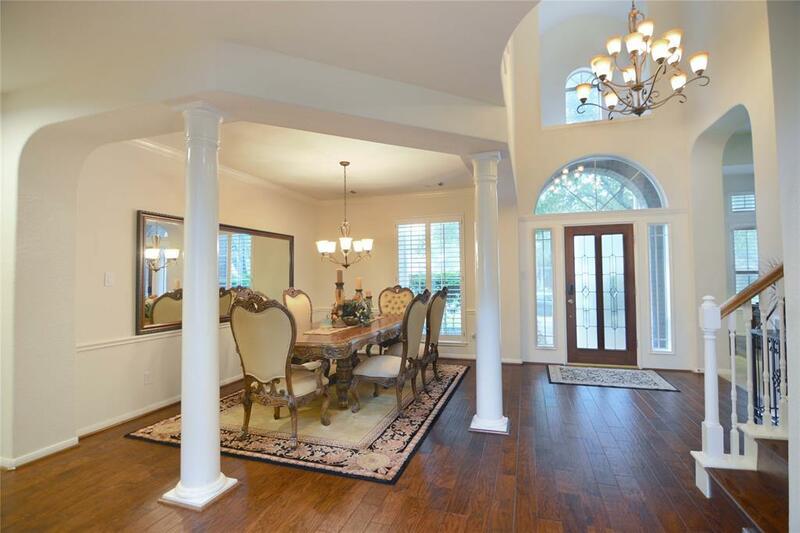 Breathtaking High Ceiling Entry-Opens Onto Gorgeous Formal Dining with Stately Columns! 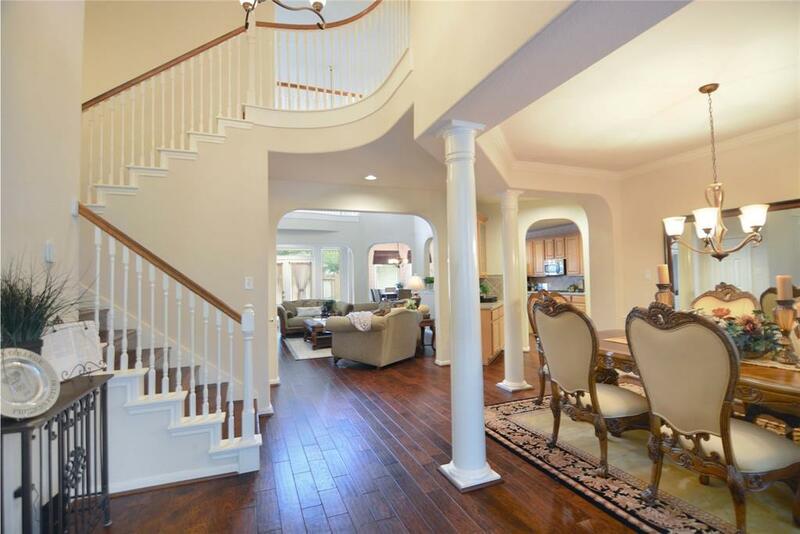 Gorgeous Hardwood Flooring! Study/Formal Living-Plantation Shutters + Bay Window! Two-Story Family Room-Stone Surround Fireplace + Built-Ins + Surround Sound Wiring! Delightful Island Kitchen: 42" Cabinetry + Stainless Appliances! Breakfast Area with Built-In Planning Desk! First Floor Master Suite - Whirlpool Garden Bath with Dual Vanities + Walk-In Closet! Downstairs Guest Suite! Large Gameroom/Media Room - AND Computer Niche with Built-In Desk! HUGE Wood Deck in Backyard! Automatic Sprinkler System! Master-Planned Community! Amenities Galore: Pool with Fountains & "Lazy River," Lap Pool, Fitness Center, Sports Fields & Courts, Fishing Ponds, Parks, Playgrounds, & Trails! MUST SEE!